I had read very good thing about this island before going there, and now that I have been I can say that it truly is a wonderful place, and if you add some awesome people to the mix, you get to have an experience of a lifetime! So, as I arrived at the hostel in Irkutsk in the evening and checked-in, I notified them that I wanted to take a bus to go to Olkhon island the next morning. Good surprise, no need to go to the city bus station, it comes pick you up at the door - good to get some more precious minutes of sleep. The next morning, I boarded the bus with three other backpackers from the hostel. In the bus, another traveler was already there. As the driver was going through the city we started the "traveler first-time-you-meet-someone talk" with the usual questions "where are you from? ", "what's your name? ", "where were you before? ", "where are you going next?",... All the while, the driver stopped at a few other hostels and more backpackers came onboard and the routine went on again. It was a very international crowd we had in there. 2 Korean guys, 2 Americans (a couple), A Swiss girl, an Argentinian guy, a Greek girl and me, French. So 8 people and 6 different nationalities. And we hit it off pretty well, there was not this awkward moment that sometimes happens when you first meet people, when everyone is paying attention at what they do and how they act so the others won't think you're a weirdo. I'm not saying that we started to share our darkest secrets with each other, but the atmosphere was very relaxed. We were onboard for a 5h drive so that made the trip much more enjoyable. I'm only talking about travellers here, but there was also 2 russians with us, a young girl and an older lady. The young girl spoke a bit of English and was very kind to act as our translator during the meal break to order some food. Let's talk about the trip. The bus, which is actually a mini van, has 10 seats. And I don't think you could fit any more people. That leaves not much room for legs - here he goes again! - Yes, as a very tall guy, every mode of transportation is an experience for me and the leg room - or the absence of it - is the first thing I notice. But in that case it was not bad, I was seating in one of the front seats and I was quiet comfortable. After a couple of hours we stopped for lunch. "20 minutes" the driver announced. We were in a small village at a café, a small café, small like our choice of food. We basically had to choose between 2 different kind of rolls, one with cabage inside, or one with potato. Everyone ordered, with the precious help of the young Russian girl who took care of translating to the lady at the café. We then took a ferry to go on the island, the crossing took about 20 minutes and we had about 45 minutes left to reach the village. Turned out we were all staying at the same hostel, or homestead. Nikita's Bencharov's homestead is the full name. For the story, Nikita, the owner, is a former Russian ping pong champion. The place is very nice, it is very cosy and well heated. It's all made of wood and the decoration fits perfectly. Some could find it quiet pricy since the cheapest rooms are the shared rooms - only 2 beds - and it costs 1200 roubles / 22 Euros per night, but it does include 3 meals. Yes, it's not like other hostels where sometimes breakfast is included. At Nikita's, you get breakfast, lunch and diner. And it's not the bread-butter-jam type of breakfast, it's the whole freaking lot! fried eggs, poridge, pancakes - as a French I think they looked more like small crepes. And the other meals are as good as the breakfast. And, oh boy, was that windy that day! and cold as a matter of fact. The road was... well not really a road. It was not even holes, it was crevasses, trenches, sometimes I was even wondering how the minivan could go through this. But you know, I was just being a stupid tourist, our driver obviously was not a first timer there and knew what he was doing. We made a few stops on our quest to the north. When we finally reached it, we took a picture with everybody. I took my quadcopter out but I was quiet concerned because the wind was very strong up there. It is the windiest - did I just made up a word? - spot of the island since there is only water past that point, for hundreds of kilometers. And when you look at all that water in front of you, it's hard to believe that this is just a lake. And if you believe it, well it's just even more amazing! We stayed there for about 20 minutes, taking pictures and admiring the view, then we joined our driver/cook who, in the mean time, prepared us a most welcome lunch. On the menu? Fish soup, bread with cheese and some sweet cake for dessert that I can't remember the name. And the fish soup prepare on wood fire please. The real deal! After that, we started heading south again but by another road, made a few more stops, including one to enjoy the beautiful sunset. Back at the hostel, we were all pretty tired and it was a quiet night for everyone. During the next few days, some of us left and went their own way to continue their trip but we did exchange our emails hoping that we could see each other again some day... who knows, it's a small world after all. So this trip to the Olkhon island was the highlight of my trip in Russia. 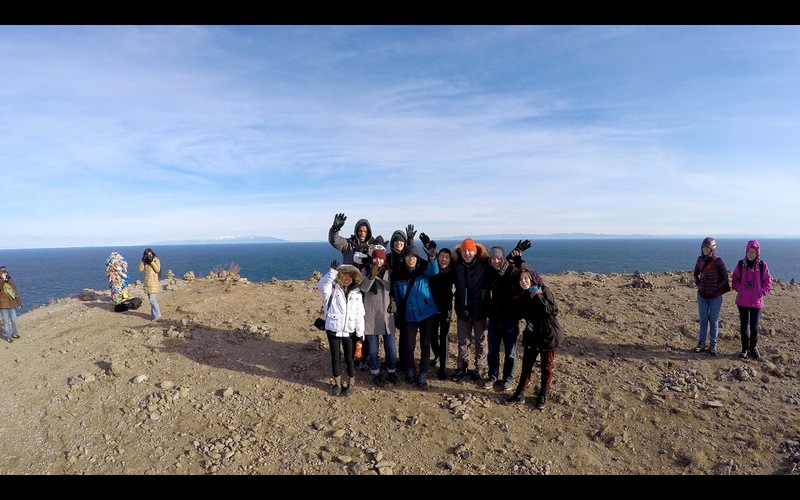 Lake Baikal is definitely worth checking out, and if you have the time, doing so on Olkhon island will only enhance the experience. And I think it would be the case no matter what season you go there. So, if you're planning a trip to Baikal, save a few more days, make the 5 hours drive to the island, and I can promess you that you won't regret it! P.S : To the dream team. if some of you read this post, again thank you for making this trip so fun and memorable. Hey,Laurent! It's Jung Jae from Korea. I was in Moscow with Aidan. We had a same train and same hostel and same room again ! I lost your card but i searched youtube about Olkhon island and i found you and your blog. Your videos are amazing ! especially, man who sitting on top of the rock is the best scene i've ever saw, in two ways. Anyway, I'll never forget this travel, Olkhon island and Dream team. It was really nice to meet you and also other Dream team members too. Wish we could meet again someday, Who knows ? I hope you made wonderful travel and wish good luck. And good luck to dream team. Hey! Sorry for the super late reply. Thanks! I hope your trip went well. 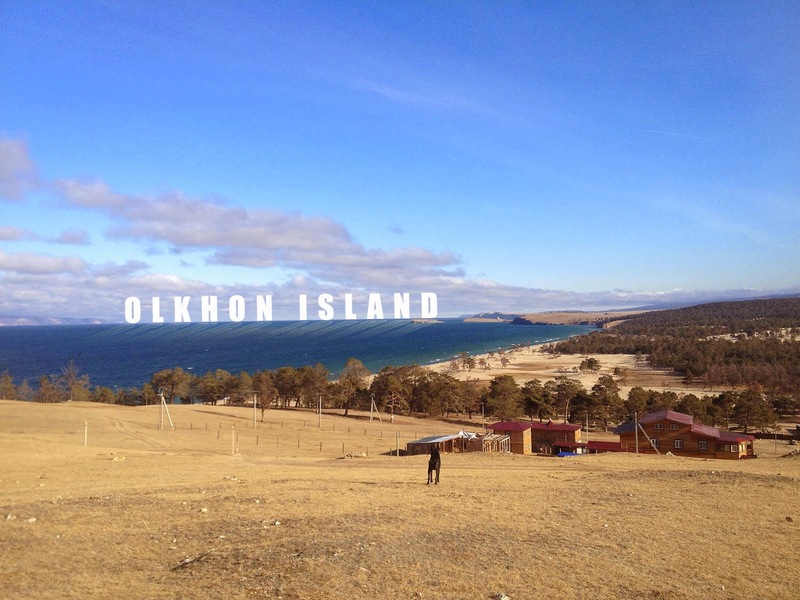 I'll never forget my trip to Olkhon Island either!